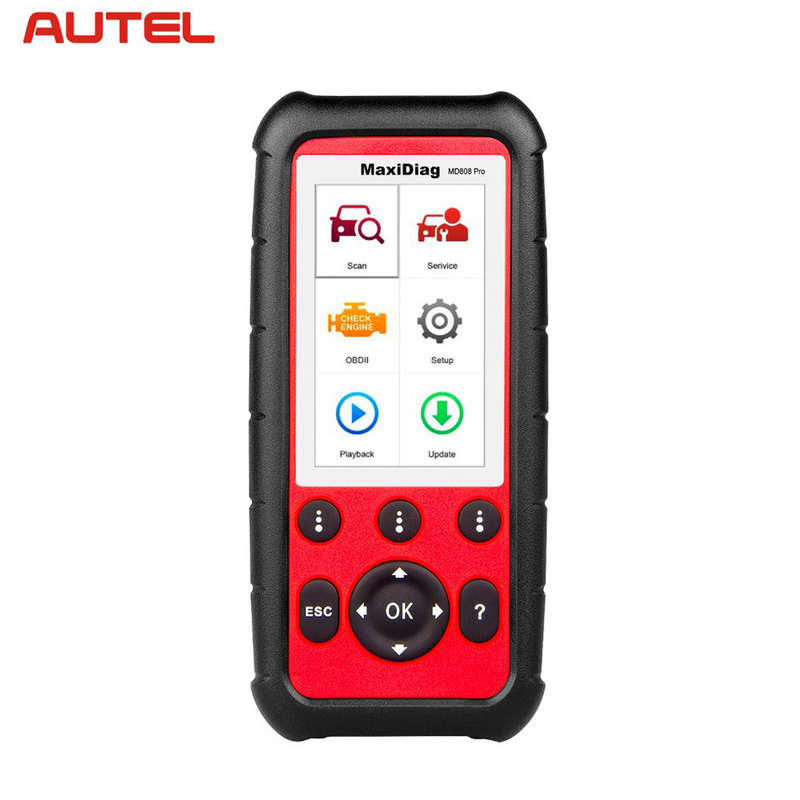 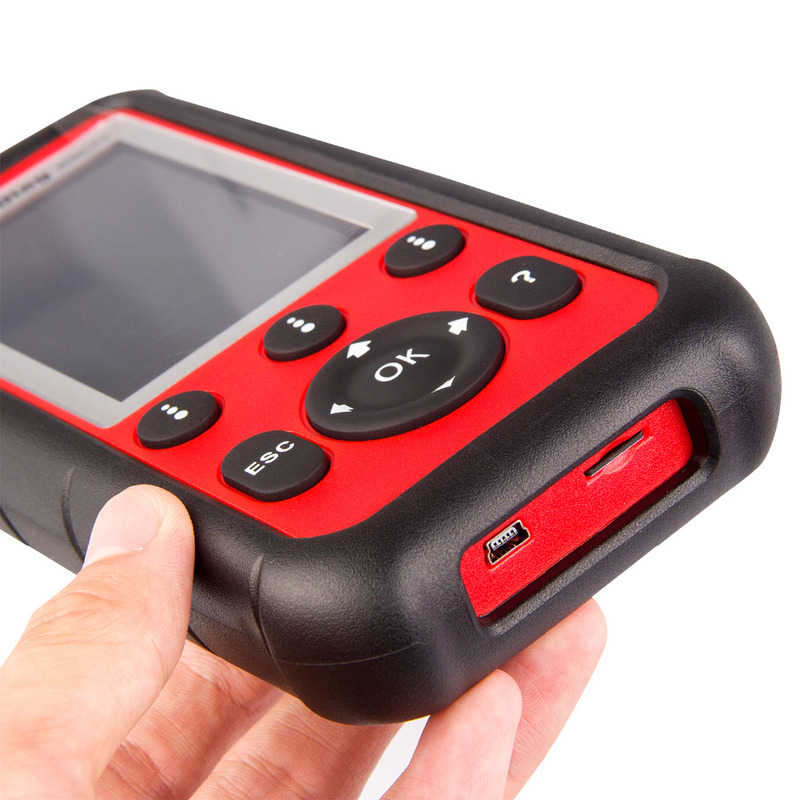 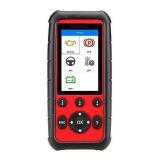 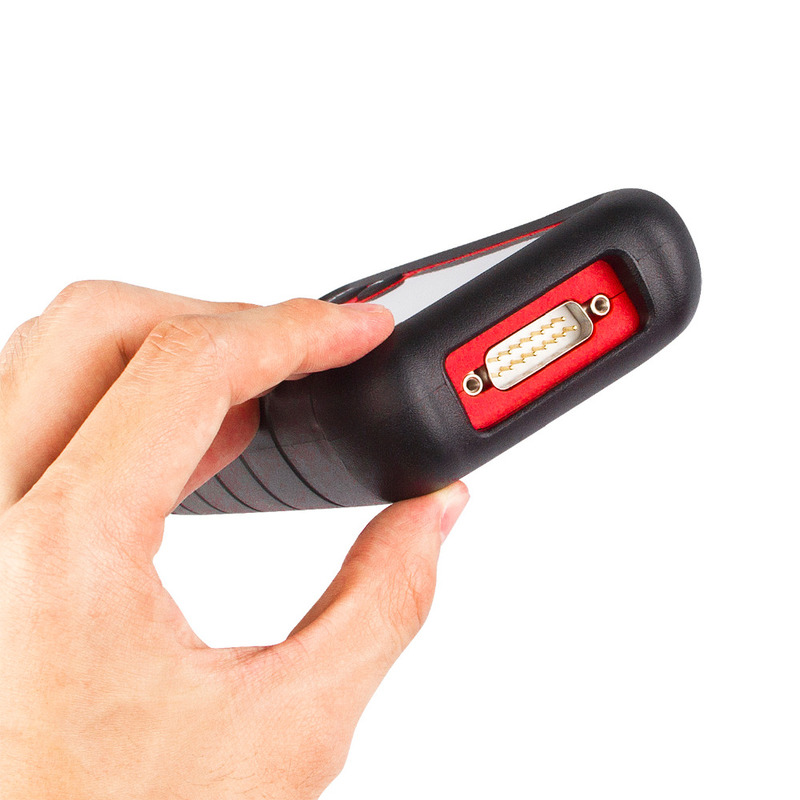 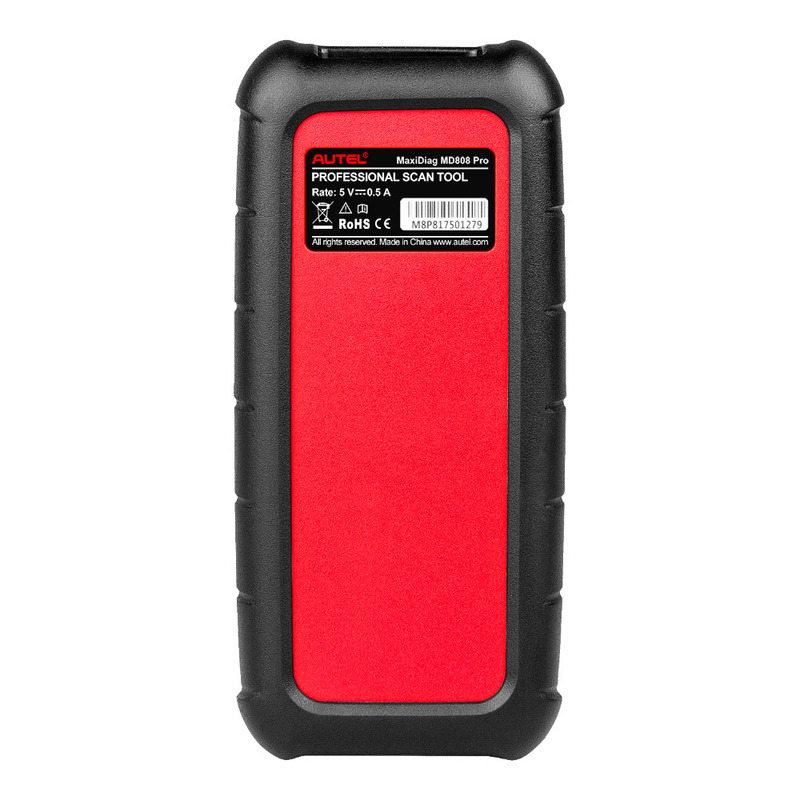 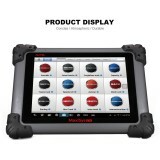 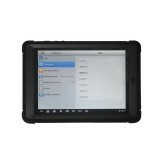 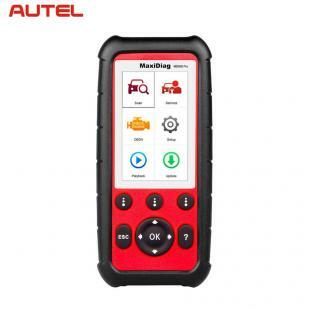 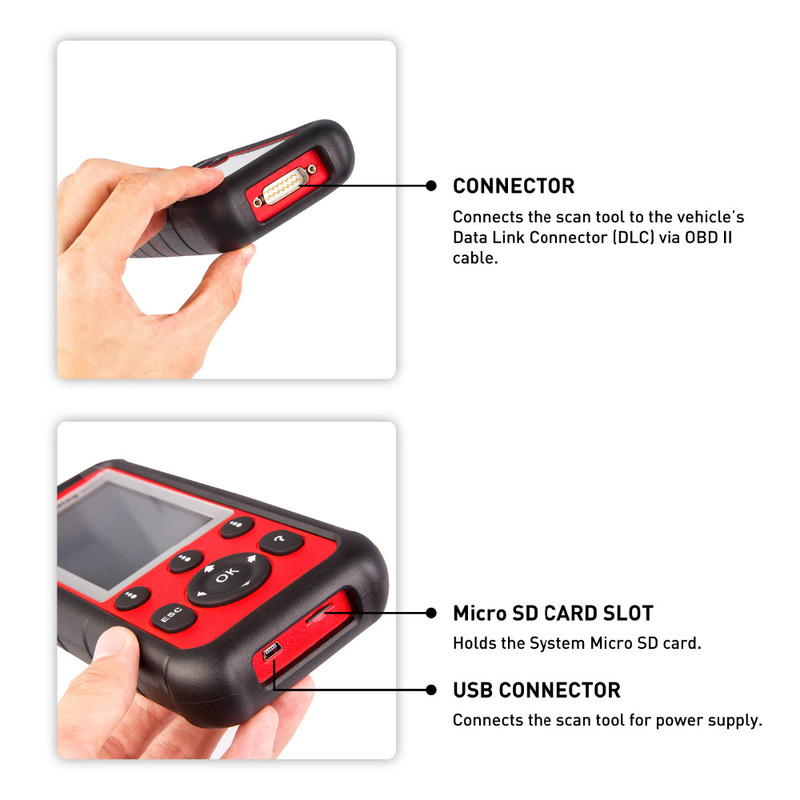 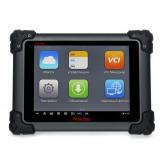 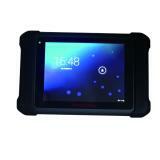 Autel MaxiDiag MD808 Pro is an easy-to-use handheld Diagnostics & Service Tool with a 840x480 Color Display. 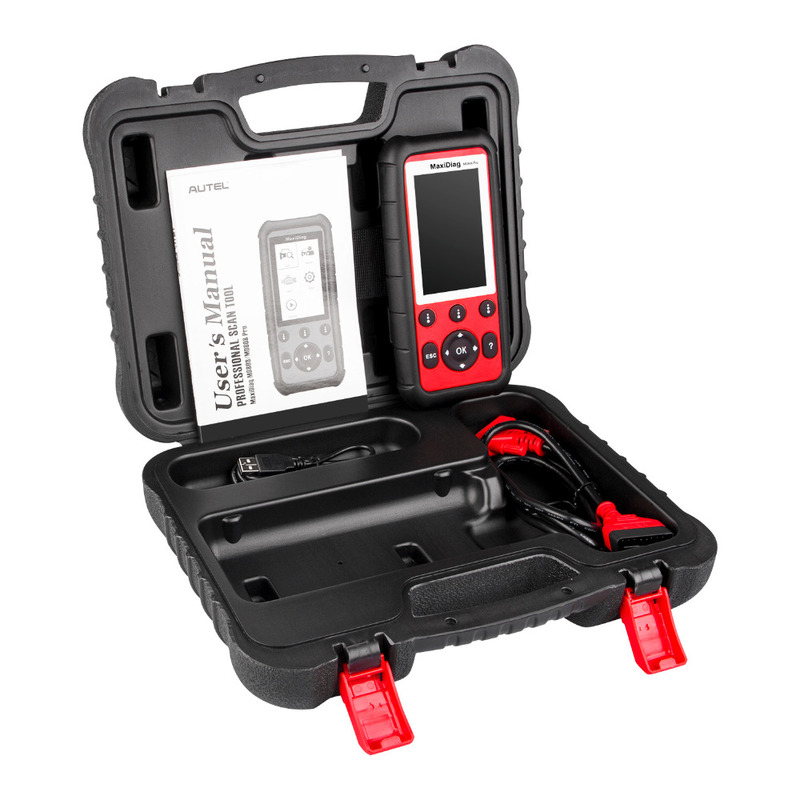 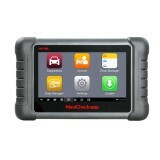 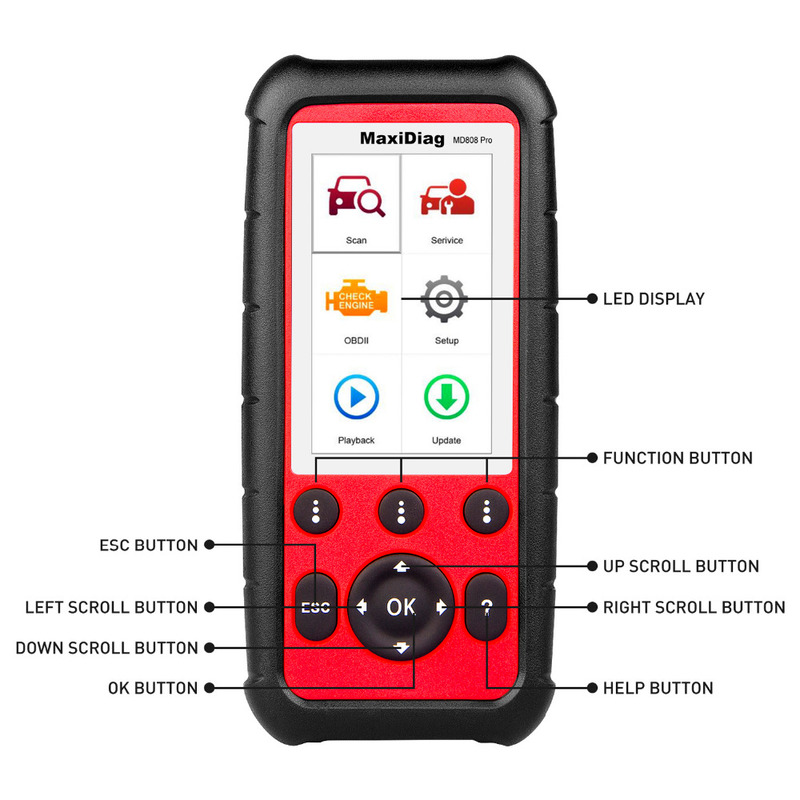 The tool, which is compatible with domestic, Asian and European vehicles, 1996 and newer, can read and clear codes in all available modules and also offers a robust menu of service functions including Oil Light & Service Maintenance Reset, Battery Maintenance Reset, Diesel Particulate Filter Regeneration functions, Steering Angle Sensor and Electronic Parking Brake resets. 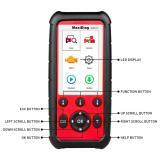 MaxiDiag MD808 Pro Support Multi Language : English, French ,Spanish ,German ,Dutch ,Swedish ,Polish ,Korean ,Japanese, Italian . 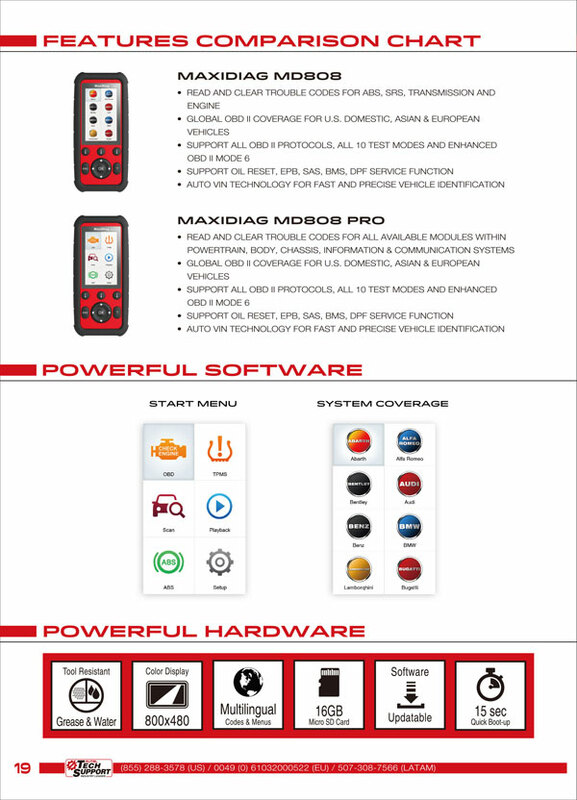 English is in default. 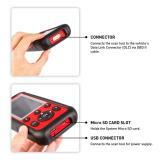 If you choose other language , please send SN to us after you receive the scanner ,then we will activate it. 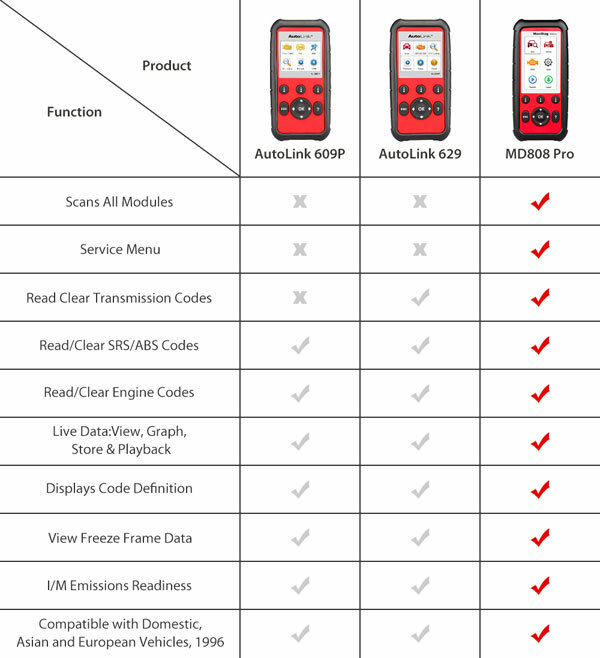 What the advantages of MD808 Pro compare with MD808 basic and MD802? 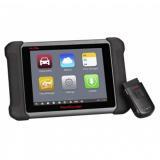 1.MD808 PRO support all system of car, the md808 only support 4 system , and MD808 PRO is upgrade version of MD808 and MD802 , coverage more car and more systems. 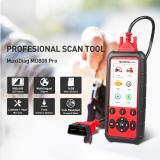 2.MD808 PRO support Steering Angel Learning , DPF functions , and Battery Registration and reset . 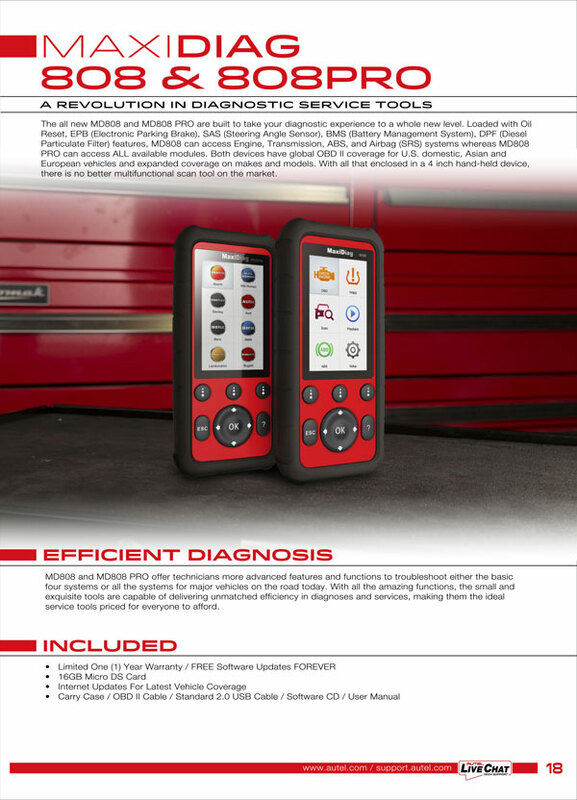 The MD808 4 system and MD802 don't have these functions.